Medical research and diagnostics or imaging techniques such as in biometry often require high resolution and stability. For this purpose, the imaging components are moved quickly and precisely. This compensates for oscillations caused by external forces. Microscanning furthermore increases the resolution through fast motions between the individual pixels of a sensor chip. 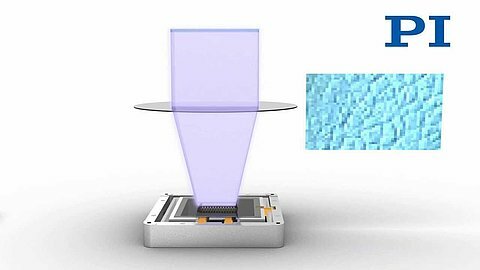 Fast, piezo-based, two-dimensional scanners operate with the necessary velocities in the video frequency range and cover the required travel ranges between the individual pixels with scanning ranges of up to several 10 µm. The image information can thus be stabilized, interpolated, and superimposed. This produces an image with a higher image resolution.